Falling objects: You have to take steps to reduce the risk of falling objects from storage systems, and to reduce the risk of harm from a falling object. Shelving systems with a lip, and shelves with solid sides, can reduce the risk of falling objects. Another way you can reduce the risk of falling objects, in the case of lighter objects (because heavier objects will not fall, unless the surface area is tilted), is to have rubber grips on the shelves themselves or a sandpaper base to prevent items from slipping. 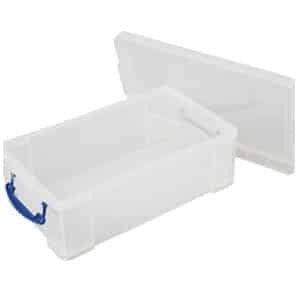 Marking storage systems and shelving: Storage systems should be properly designated, and they should be clearly marked. Furthermore, if there is an identified risk of falling objects, then the storage area should clearly indicate this. It is also good practice to restrict unauthorised personnel from the area, with clear and appropriate signage. 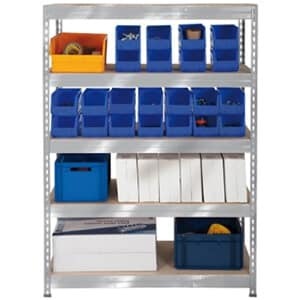 Shelving installation and ease of use: Shelves and other storage systems should be properly installed and designed. For example, they should be installed by a professional, and where required, be anchored to the ground. 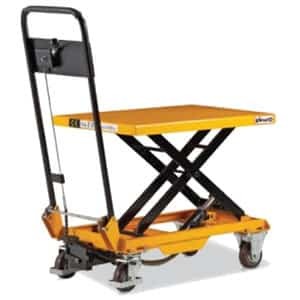 Shelving units should also make loading and unloading as easy as possible, to reduce mechanical and manual handling issues, and they should be easy to dismantle should the need arise. Shelving placement and traffic: Shelving and other storage systems should have a placement where tight corners and uneven surfaces are not present; they should also leave enough space for people to safely walk through and past. It is good practice to avoid installation near awkwardly placed doors and on changes in gradient. In addition to this, it is good practice to place shelving away from sources of vibration, such as machinery and speaker systems, because these can shake the shelves’ fixings loose. 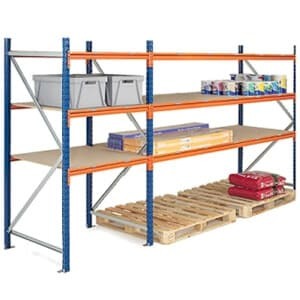 In addition to these health and safety considerations, it is also important that you purchase shelving that conforms to British Standards, wherever appropriate. 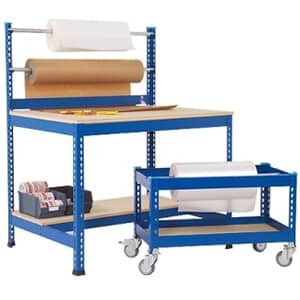 For example, BS 5454: 2000 Document Storage sets out recommendations for shelving and storage solutions related to the safe keeping of paper and parchment, while BS 826: 1955 sets out recommendations for adjustable steel shelving. You should steer well clear of shelving that is not manufactured to British Standards, such as cheaper variants from China. Lastly, we will say that although this article mainly applies to companies and organisations, and more specifically warehouses, it also applies to homeowners, in the sense that your health and safety should always be of paramount importance.